With all the things happening in the world, it's important to rembemer you are part of a community. A community of friends and neighbors, that come together to make the world a better place. 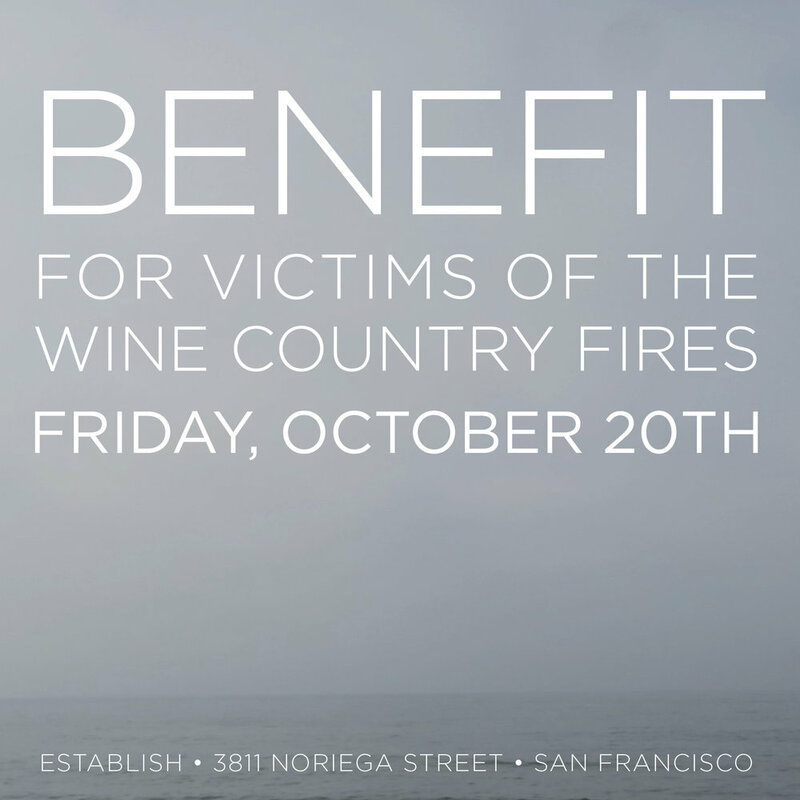 Join us Friday, October 20th from 5-9pm for a benefit with proceeds going to the victims of the northern california fires. Benefit will be cocktail party / open house style, so swing in at your leisure. But get your tickets now! Ticket donations start at $40 until Friday, $50 day of. There will be a taco station, passed small bites, beer, wine and more. Included food will be gluten-free with vegetarian options available. Food by Chef Simone Miller Zenbelly , Nana Joes Granola, Bread Srsly, Revive Kombucha, The Pizza Place on Noriega, Juice Shop, Flanahan's Pub , Hard Frescos and more. Stay tuned! If you have something to donate, please email ali@establishsf.com . UPDATE: Thank you ALL for the donations!!! We raised $3000 that will be sent today, October 23, 2017. It warms out heart all the community support. Thank you again!